At Modern Family Dental, we provide dentures and denture implants in the Charlotte and Concord area. 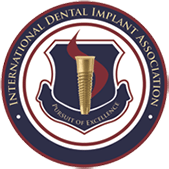 If you are in need of dentures or denture implants, it is important to schedule a consultation. Dentures and denture implants are not just a cosmetic fix, but can also help relieve pain, improve speech, and help you eat better. Dentures are removable replacements for missing teeth. They are fit specifically to your mouth to ensure comfort. There are several different types of dentures, and the right ones for you will depend on how many teeth are going to be replaced, in addition to other factors. Partial dentures are designed to replace only a few missing teeth and fill a couple of gaps in your smile. The dental technology we use at Modern Family Dental Care allows our dentists and associates to use gum-colored clasps to secure the denture to your healthy teeth. Quite often, our doctors can avoid the old metal clasp that can prove to be fairly unattractive when you smile. Partial dentures are an affordable option to complete your smile, prevent teeth from shifting and allow you to chew your food better. Complete dentures replace all of your teeth on either your upper or lower jaw. This type of denture allows you to regain the ability to chew food easily again and smile with confidence. If you have teeth that need to be removed, immediate dentures can be placed after the damaged teeth have been taken out. There are many benefits of having complete and immediate dentures, however, frequent visits to the dentist may be needed for adjustments to ensure they fit properly. Overdentures are complete dentures that are secured by implants. This form of denture provides greater stability while you chew and speak. The Charlotte overdentures you receive from Modern Family Dental Care can be secured with dental implants or mini dental implants. Overdentures are more of an investment than the previous options, and require additional appointments to make sure they fit as comfortably as possible. Although there’s little extra time and effort involved, many of our patients agree that their overdentures are well-worth the investment. Have a Healthy, Attractive Smile. You’ll no longer be embarrassed to smile or laugh after you replace your damaged or missing teeth with dentures. 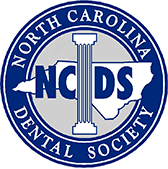 At Modern Family Dental’s three locations in Charlotte and Concord our dentists can consult with you to restore your confidence with dentures. Look Younger. Dentures help keep facial muscles from sagging, which causes people to appear older than they are. We’ve often heard patients say they look ten years younger with new dentures. Enjoy Your Favorite Meal. Healthy teeth and properly-fitted dentures make chewing food easier! After you receive a denture treatment, you’ll be able to enjoy your favorite meal without any of the chewing difficulties you experienced before. Improve Your Speech. If you have had missing teeth for a while, you may have noticed changes in your speech. Why? Missing teeth can make it difficult to properly pronounce words. Replacing your damaged teeth with dentures will allow you to speak clearly again. Having a healthy mouth is not only important for aesthetic reasons: it’s also a crucial part to maintaining your body and mind’s overall health. If you’re unhappy about your smile due to broken or missing teeth, please contact us today to learn more about how dentures or denture implants can improve your life. 1) How do I care for my dentures? It’s important to not use normal toothpaste when cleaning dentures, since they are made of plastic. Instead, you can use a dishwashing liquid and denture brush. Dentures should be cleaned every day, and then soaked in a denture solution overnight. Be careful when handling your dentures, as they are fragile and can break if dropped. Pain levels vary for a person getting dentures. However, as your mouth gets used to your new dentures any pain or irritation should subside. If you experience any pain and are unsure if it is normal, be sure to contact your dentist who can help discuss your concerns. 3) Can I Sleep in my Dentures? As a general rule, it is recommended that you do not sleep with your dentures in. This gives your gums and tissue an opportunity to rest. In addition, taking your dentures out allows you to properly clean them, which should be done at least once a day. Contact us if you have additional questions about our denture services in Concord and Charlotte. Our caring staff at Modern Family Dental Care is always happy to answer any questions you have and discuss denture options with you.